MLB The Show 16 is a Major League Baseball video game published by Sony Computer Entertainment and released for the PlayStation on March 29, 2016. It is the eleventh entry of the MLB: The Show franchise. 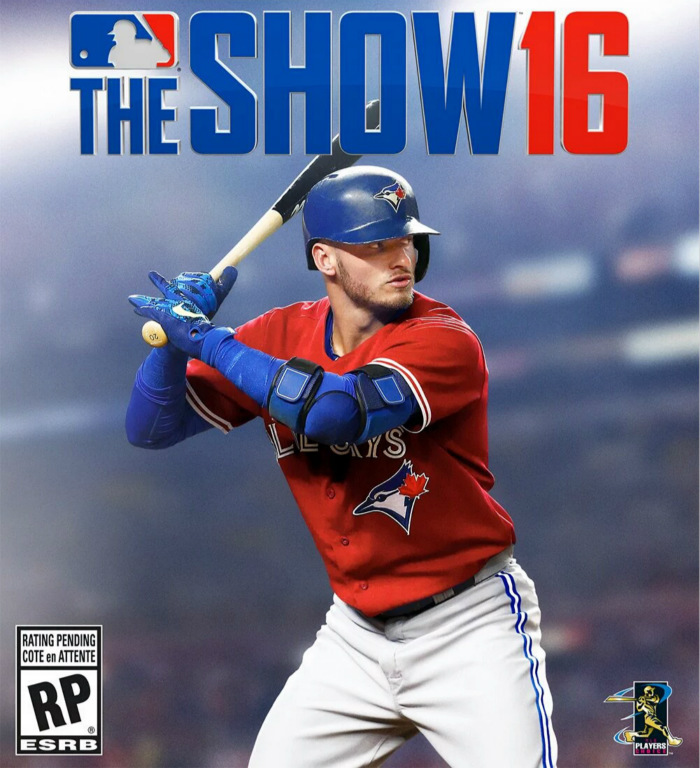 Toronto Blue Jays third baseman Josh Donaldson is the cover athlete for both the Canadian and American versions of the game. The font used for the game logo is Agency FB Black Condensed. Agency is a geometric sans-serif typeface family designed by David Berlow of Font Bureau, based on the capitals-only titling face created in the 1930s by Morris Fuller Benton. The typeface is mainly intended for titles and headings. In addition to MLB The Show 16, FB Agency typeface is also used in the following logos, movie posters or album covers etc., including: Source Code, Hitman: Agent 47, Dredd, Bridge of Spies, Echelon Conspiracy, The Maze Runner, Stolen, Total Recall, 2012, Zero Dark Thirty, The Scorch Trials, Rogue Nation, Warm Bodies, The 5th Wave, PlayStation All-Stars Battle Royale.